Video: While no giant gorilla actually appears in this footage, star Tom Hiddleston has promised us that King Kong will look as he never has before in the film. Nope, Skull Island ain't no holiday spot. In this fresh behind-the-scenes cut, we get a few character introductions from Tom Hiddleston, Brie Larson and Jason Mitchell. Larson's character, Weaver, is a photojournalist and a peace activist, so she's probably getting along great with all the military men populating this movie, right? 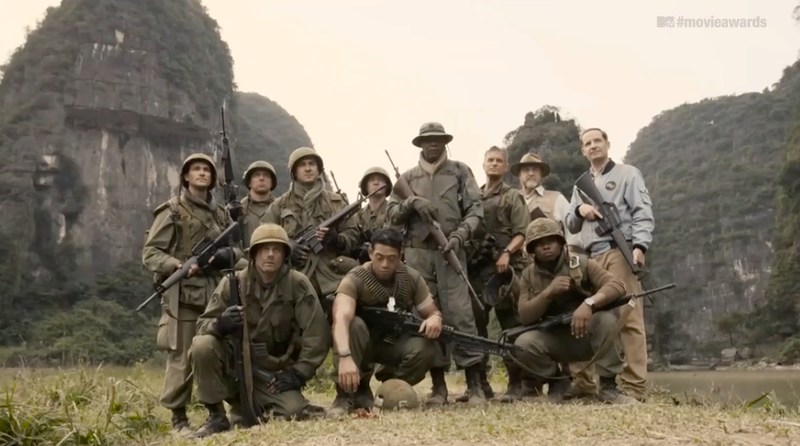 Actually, the most interesting comment comes from Corey Hawkins, who says that the '70s setting means layering "post-traumatic stress" of the Vietnam War into the characters.